This is a new section that I’m going to try out and see how it pans out. I’d like to add different blogs and websites that you find helpful in your fiber pursuit. If it gets too large, we may have to vote and thin them down but we’ll see how it goes! I have learned about so many from other people that I never have found by myself. Check these out! If you have sites you love, send them to me! I will update these every couple of weeks, separating them by fiber discipline. 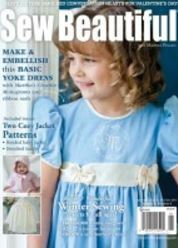 Spotlighting in our library this month is the wonderful but alas, no longer published magazine, ‘Sew Beautiful’. From re-purposing family heirlooms to fashioning wedding finery, these pages are filled with truly beautiful sewing. Whether you’re looking for a quick-and-easy gift idea or planning to spend hours shaping a round lace yoke, these issues have you covered. We have several years including some of the special editions of the magazine. If you see a book you are interested in, let me know and I will bring it to a meeting for you to check out for 30 days (or longer if it hasn’t been requested). If I’m coming to town, I’m sure we can arrange a meeting to drop it off! Every month I will be bringing several books that relate to the topic of the program. You are welcome to look through the books and check one out if you are interested. 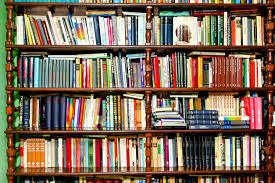 If you have fiber related books/and, or magazines that need a new home, we are always accepting donations! 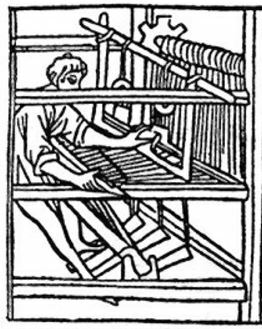 Same with equipment: looms, needles and so on… Remember we are a non-profit organization and it can be used as a tax deduction. Hats 4 Hope was started in 2008 by Suzy Luff, who was just 14 years old at the time. She is now a senior at the University of Denver majoring in math and the organization is still going strong and growing way beyond her initial dreams with 10 chapters in the US and 1 in Germany. Suzy has been featured on local and national television and has donated over 17,000 hats with 14,500 of those going to babies in Colorado Springs. Suzy’s idea to provide hats to premature newborns started with a small hat loom she received as a gift. She was inspired by baby pictures of her older brother in a baby hat that looked small and thin and she wanted to make something better. Her first hat was too small for a newborn but just right for a preemie. So, she contacted the local neonatal intensive care unit (NICU) to see if it could use her hats to help premature infants retain their body heat. The NICU was very happy to accept the donation, but never expected the hats to keep coming. But they did. Soon after she started donating hats, Suzy created the nonprofit organization, Hats 4 Hope, training volunteers by holding knitting parties. Her efforts, along with those of the hundreds of volunteers who make up Hats 4 Hope, have touched the lives of so many families of premature infants – not only by warming tiny heads, but also by lifting spirits at a difficult time. family vacations where she contacts the NCIU units near her vacation destination and offers to donate hats. Suzy sees herself continuing to be the administrator of Hats 4 Hope through her college career and beyond. She plans to continue her education next year with a master’s program in curriculum and instruction with a goal of becoming a secondary education math teacher. While there are many organizations that do charity knitting, this one was started by a very special local lady and has had a positive impact on babies in Colorado NICU units and their parents. If you would like to donate hats, I’ve included a link to a simple pattern below. Or if you have some leftover yarn from a project, Hats 4 Hope can use that too. It only takes a small amount of yarn for these tiny hats. Baby skin is delicate so soft acrylics or cotton are best plus they are easily washable. Cass Mullane – a creative artist will provide the supplies and show us how to make a piano hinge book. 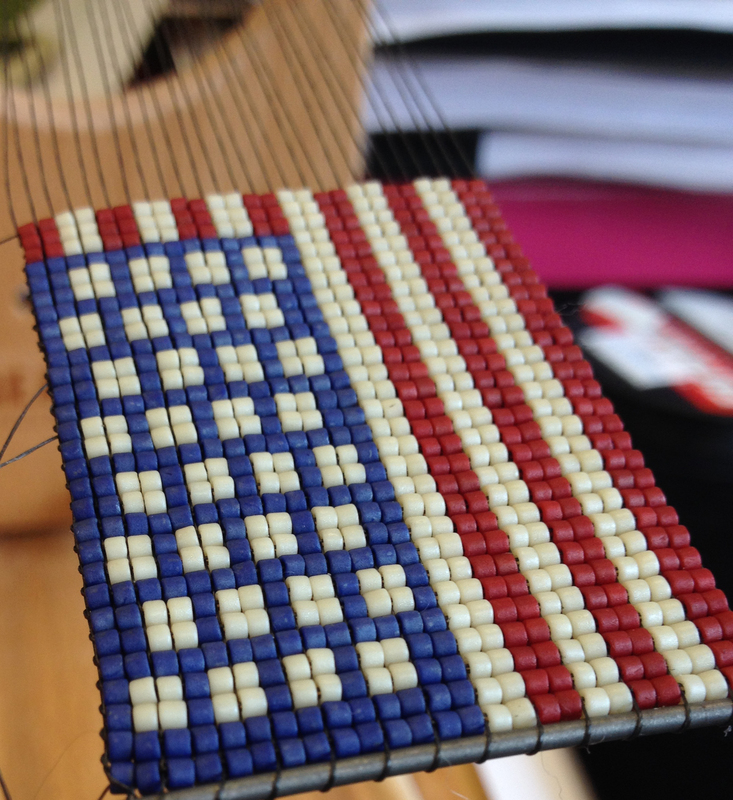 Elizabeth Crow – bead artist will discuss her art and provide supplies for everyone to make their own bracelet. Elizabeth has Bead Soup Saturdays that you may participate in for a cost. Elizabeth Hanson – papermaking artist. Elizabeth will walk us through step by step on making our own sheets of paper. New Hue – Tess Murdoch and Susan Haldeman will present a hands on program for chemical dying. Please wear clothing you do not mind getting dye on. 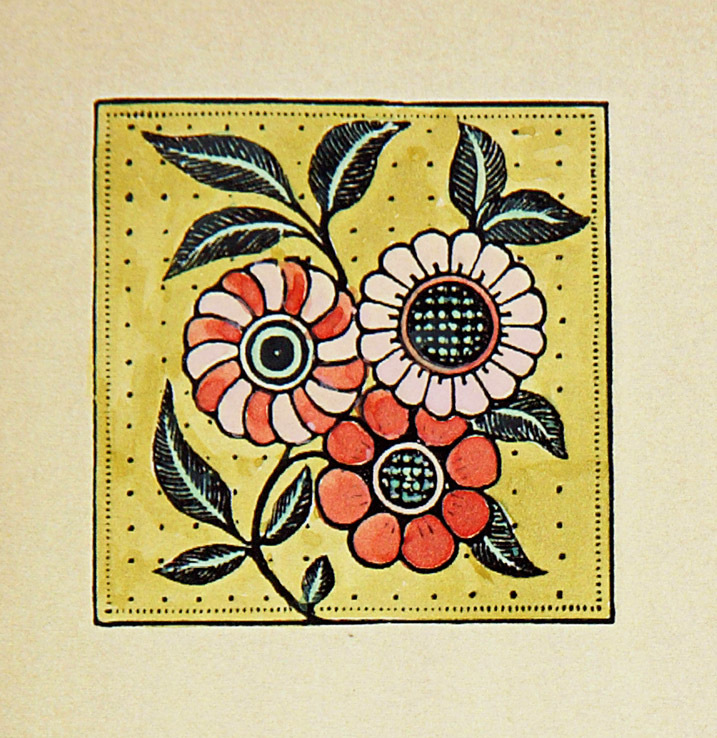 Bring something small you want to dye or use their supplies. The Knitting Study Group meets once a month, on the third Wednesday, from 6:00 to 8:00 p.m. Our next meeting is July 20th!
. It’s not necessary to be a member of Front Range Fiber Artisans, but most of our members are at this time. We have a few projects planned, and will post the month’s projects in Gmail, Facebook, and Ravelry prior to the meeting. We have some fun events planned including charity knitting, techniques taught by members, and a group knitting project where we’ll share each others’ work to create an item for us to use and keep. It should be a lot of fun! For any questions, please contact either myself, Marianne Snygg @ 719-964-9682 or mcsnygg@msn.com or Anna Isherwood @ 719-306-5744 or anna.isherwood@gmail.com.